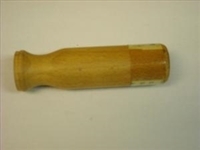 Brand new spare wood handle for the British Bren gun. 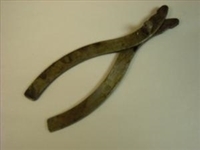 Plier tool for the Bren gun. New condition. BRITISH BREN 30 RD MAGAZINE .303 NEW OLD STOCK. BRITISH BREN 30 RD MAGAZINE .303 CAL. STAMPED MKIII WITH THE BRITISH ARROW. NEW OLD STOCK. BREN GUN BRITISH WWII DATED BASIC POUCHES SET WITH SHOULDER STRAP. BREN WWII DATED 1941-42 BASIC POUCHES 37 PATERN. SET CONSISTING OF 2 BASIC POUCHES 37 PATTERN (FRONT AND REAR) WITH SHOULDER STRAP. 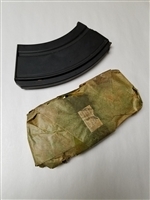 THIS SET WILL HOLD STEN MAGAZINES, THOMPSON MAGAZINES OR BREN MAGAZINES. MAGAZINES NOT INCLUDED. CONDITION IS NEW OLD STOCK. BRITISH BREN 30 RD MAGAZINE .303 CAL IN ORIGINAL ENFIELD FACTORY WRAPING. THE MAGAZINES ARE STAMPED MKIII WITH THE BRITISH ARROW. NEW OLD STOCK. BRITISH BREN 30 RD MAGAZINE .303 CAL. NEW IN ORIGINAL PACKAGE WITH ENFIELD LABEL. THE MAGAZINE IS MARKED MKIII WITH THE BRITISH ARROW. NEW OLD STOCK. LIMITED QUANTITY. SUPER DEAL! 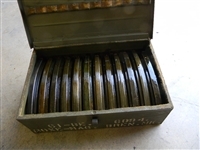 BRITISH WWII BREN GUNNER FIELD MAGAZINES SET. SUPER DEAL! ONLY A FEW AVAILABLE BRITISH WWII DATED 1941-42 BREN GUNNER FIELD MAGAZINES SET CONSISTING OF 2 BASIC POUCHES 37 PATTERN (FRONT AND REAR) WITH SHOULDER STRAP. THIS SET INCLUDE 6 ORIGINAL 30 ROUND 303 CAL. 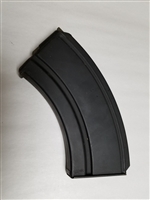 BREN MAGAZINES IN EXCELLENT CONDITION. 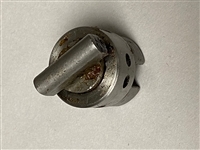 Complete spare barrel for the British BREN gun in cal. 303. Very good condition. ORIGINAL BOX OF 12 BREN 30 ROUND MAGAZINES. VERY GOOD CONDITION.